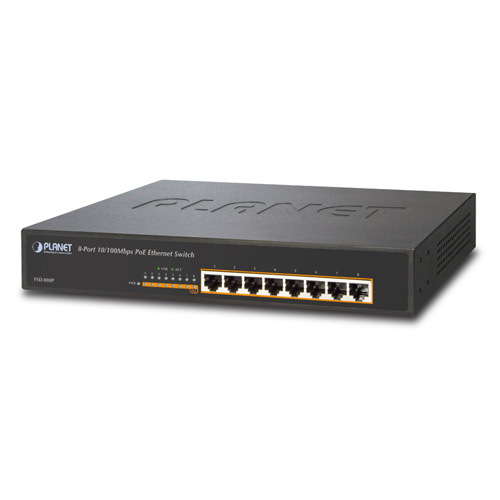 The Planet FSD-808P is a 8-Port 10/100Mbps 802.3af PoE Switch. The FSD-808P supports 125 Watts PoE budget and 8-Port 802.3af PoE power injector function to drive 8 IEEE 802.3af compliant powered devices. The FSD-808P also provides a simple, cost-effective, and non-blocking wire-speed performance with 12-inch metal shape for desktop deployment in compact housing, SOHO office or department network applications.